Roots and Branches is dedicated to providing faith formation and spiritual growth through a variety of programs and events. Grounded in the Christian tradition, our programs draw from Biblical narratives, universal wisdom and the arts. God calls us to love him whole-heartedly, and to love others as we love ourselves. As people of faith, we utilize a variety of tools to deepen our understanding of God's mission for us. Roots and Branches exists to help broaden understanding of those tools and to sharpen the skills needed to grow our relationship with God and one another. We offer programs for the general public, as well as specially-crafted programs for specific communities. We also offer consultations for parishes and institutions as well as spiritual direction for individuals. Episcopal priest, musician and educator, Masud Ibn Syedullah TSSF, creates experiences that facilitate spiritual growth by integrating Christian spirituality, the arts, liturgical worship, and strategies to strengthen personal and congregational ministries. For more than thirty years he has designed and led conferences, retreats, and workshops, nationally and internationally, to support and enhance Christian community. 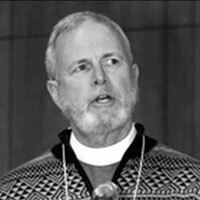 He has served on the Liturgical Commission of the Episcopal Diocese of New York, and is co-author of Liturgical Resources to Parishes. He currently serves on the Ecumenical and Interfaith Commission of the Diocese, and is a consultant to congregations to develop strategies that enhance programs for worship, spiritual formation, congregational life and mission. A member of the Third Order, Society of Saint Francis, a Christian Community of the Episcopal Church and Anglican Communion, Masud emphasizes themes of praise of God, peace-making, reconciliation, and respect for all God’s creation. Programs he offers invite participants into such a celebration of God and life. Characteristic of all of Masud’s work is the aim to assist individuals and groups deepen their relationship with God and each other. Rev. Brooks (Teddy) is the Vicar of St. Margaret’s Episcopal Church, a 115 year old congregation located in the Longwood community of the South Bronx. She was a 2008 Trinity Transformational Fellow. 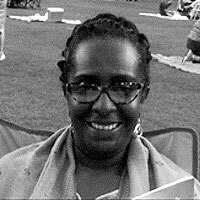 She is a cradle, multiple generation Episcopalian but her spirituality is one that seeks God’s revelation through conversation, the writings, and the spiritual/religious experiences of others, and her everyday experiences. She believes that what the Church and world need from the Christian community at this time is a ministry of presence, listening, and compassion and most especially the use of our voice and actions to bring hope and justice for the weak, most vulnerable, the marginalized, and those who hurt in our society. Fr. Furlow has served as Priest-in-Charge of Trinity Episcopal Church in Nelson County Virginia since April of 2013. Originally from Lexington, Kentucky, Mark’s areas of professional interest include spirituality and the arts. He is a graduate of The General Theological Seminary, New York City. He is also a graduate of Lynchburg College’s MBA program. 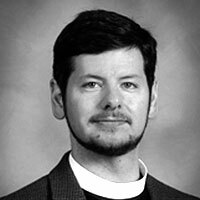 In addition to being priest-in-charge at Trinity, he serves as Canon Missioner for the Episcopal Diocese of Southwestern Virginia. 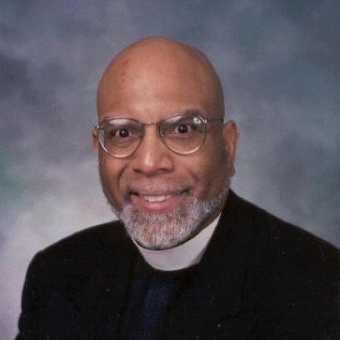 Michel Smith Mason was born in Montreal, Canada, and raised in several Episcopal Churches across the Great Plains. 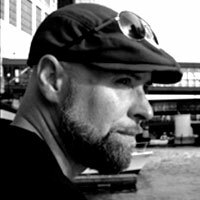 He holds a Masters in Architecture from the University of Nebraska-Lincoln, where he completed his thesis, "Silence in Architecture: An Urban Friary." In 2001, he presented his thesis project at the annual meeting for the Order of Ecumenical Franciscans in St. Louis, Missouri. Michel continues to research the effect of the designed environment as it applies to our dialectical understanding of space and its impact on our spiritual experience. Over the last 15 years, he has worked in both private practice as an architectural designer and in the public sector as a civil servant. Peter Brownell Stube was born in Gloucester, MA in January, 1951. He grew up in a clergy/missionary family. There have been pastors and/or missionaries in the Stube family for 4 generations. He was educated at Ben Lippen School in Asheville, UNC Asheville, Columbia International University in SC and Virginia Theological Seminary. He was ordained priest in 1980 in Montana and has served parishes in Montana, Oklahoma, Arkansas, Atlanta, New Bern, NC and Philadelphia. Since 2013, he has been the Executive Director of the Seamen’s Church Institute of Philadelphia and South Jersey. Dr. Stube and the Rev. Masud Ibn Syedullah have collaborated on what it means to reclaim our call to be a missionary church. Dr. Stube’s dissertation in 1990 proposed ways of moving forward to engage culture through the use of mission groups. The mission groups worked from the premise that spirituality and activism must be a seamless garment. He and Fr. Syedullah have presented their work on several occasions. Amina is the younger daughter of the Rev. Masud and Janice Syedullah. She earned a Bachelors Degree in Asian Studies at the University of Hartford and currently works at The Church of St. Luke in the Fields. She has studied Christian, Buddhist, Muslim and Hindu theologies, as well as religious art history. She is a staunch believer in interfaith dialogue and reconciliation. She is also a graphic and web designer. Janice is wife to the founder of Roots & Branches, the Rev. Masud Ibn Syedullah. 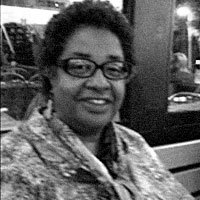 She received her college education in Oklahoma at Oral Roberts University and earned a master’s degree in Library Science at the University of Michigan in Ann Arbor. She has worked as a teacher and a librarian and is very invested in education on all levels. She recently curated the St. Francis House Library in New London, CT. Janice has been a Third Order Franciscan for many years, and as such, is called to " make our Lord known and loved everywhere", to spread the spirit of love and harmony", and to "live simply". Mo. 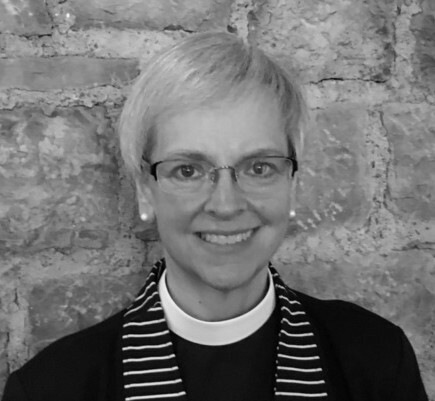 Ann currently serves as the rector of Saint Matthias Church (Episcopal) in East Aurora, New York. 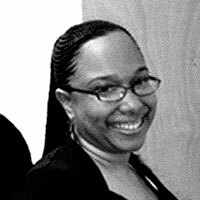 She holds a Bachelor’s degree in Communication from Cornell University and a Master of Divinity degree (2008) from The General Theological Seminary in New York City. She served prior to seminary at Grace Episcopal Church in Elmira, NY, and during seminary at the Church of the Incarnation in Manhattan and at the Church of the Atonement in the Bronx. Following ordination to the transitional deaconate, she continued to serve at Atonement as Deacon and Pastoral Associate. She was ordained to the Sacred Order of Priests on February 21, 2009, and celebrated her first Eucharist at the historic altar of Caroline Church in Setauket, Long Island, where she served as Curate from November 1, 2008 until she took up the reigns as Rector of Saint Matthias’ Church on July 1, 2012.